Muhammad ibn Tarhan ibn Uzlug el-Farabi, also known as Alpharabius or Avensar in medieval Latin texts, born 878 in Turkistan, died 950, one of the most brilliant and famed of Muslim philosophers; also know as the second teacher, (Aristotle being the first). He was of Turkish origin. Farabi’s father was in the Turkish bodyguard of the caliph, and his life was spent in Baghdad and Aleppo. Farabi, al: Encyclopedia Britannica, 1980 edition, Vol.4, p.51. Farabi was born in Vasic, a district of Oghuz Karacuk (Farab) city in Turkistan. He received his early education in Bukhara, Turkistan and continued the rest of his education in Baghdad. He led a simple Sufi life in Damascus when he died. He left many works in logic, metaphysics, morality and politics. Farabi introduced philosophy to Islam, the newly acquired religion of Turks. He found Islam as a religion was of itself not sufficient for the needs of a philosopher. He saw human reason as superior to revelation. Religion provided truth in a symbolic form to non-philosophers, who were not able to apprehend it in more pure forms. The major part of Farabi’s writings was directed to the problem of the correct ordering of the state. He argued that just as God rules the universe, so should the philosopher, as the most perfect kind of man, rule the state; he thus relates the political upheavals of his time to the divorce of the philosopher from the government. Philosophy in Farabi’s cultural environment faced many obstacles which did not occur in the time of Aristotle and Plato. As a Turkish philosopher, it is necessary to see Farabi’s originality and contributions within this context, as he tried to reconcile philosophy with Islam as a radical monotheistic religion. Farabi successfully utilized the mystic element as one of characteristics of Turkish-Islamic thought while he was resolving this problem. He made rational mysticism a characteristic in the Turkish religious perception and tried to reconcile religion and philosophy as two separate ways leading the truth. One of Farabi’s views that has an important place in Turkish-Islamic thought is his perception of morality and politics. According to him, happiness is a purpose that everybody desires to have and it is “absolute good” due to its nature. Every action which leads human beings to this purpose and will make them happy is “good” and the action that prevents him from becoming so is “bad” and human beings have the potential to distinguish what is good and what is bad. Since wisdom can comprehend what is good and what is bad, human beings should have a balanced freedom in the field of morality. Farabi has an irreplaceable place in Turkish-Islamic thought and Sufism, as opposed to Arabic-Islamic thinking, with an influence reaching over eleven hundred centuries. Reference: Prof.Dr. 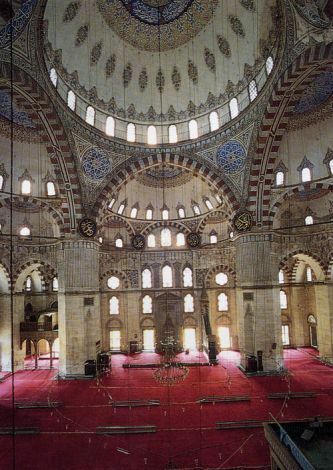 Hanifi Ozcan, “Philosophy among the Early Muslim States,” The Turks, Vol.2, Istanbul: Yeni Türkiye Yayınları, 2002.